“If you think you have mold illness, there’s a way out. It might be a long way out, but there’s a way out. There’s hope. But you have to find a practitioner that can help you deal systematically with the mold illness. 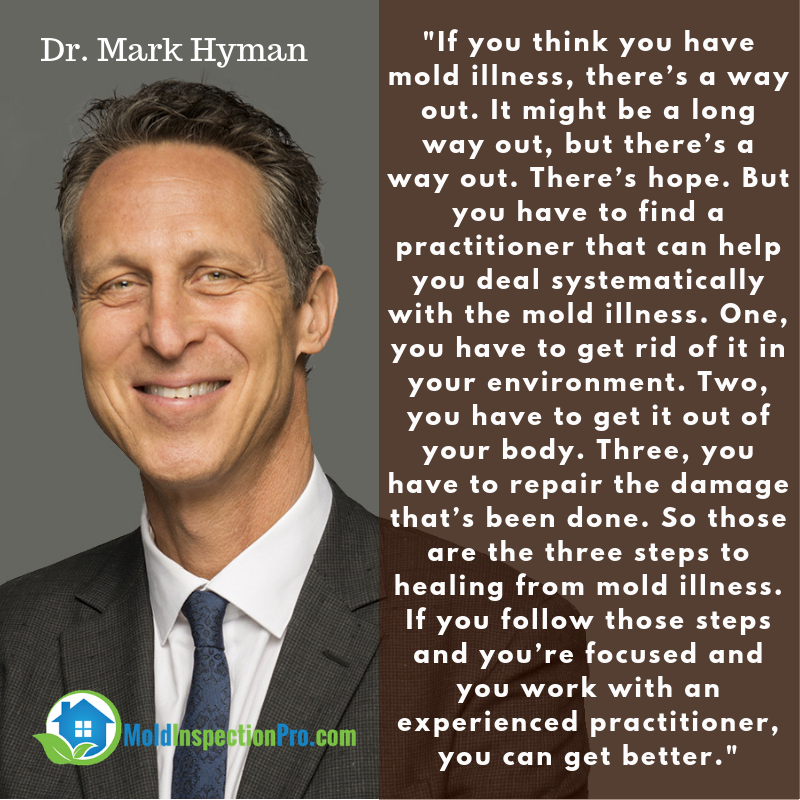 Ok,So…who does Dr. HYMAN recommend people, who have had prolonged toxic mold exposure (mold illness), go to for help with their health? A list of practitioners (who can be vouched for by verifiable previous patients) would be gladly welcomed and is sorely needed. Please! !